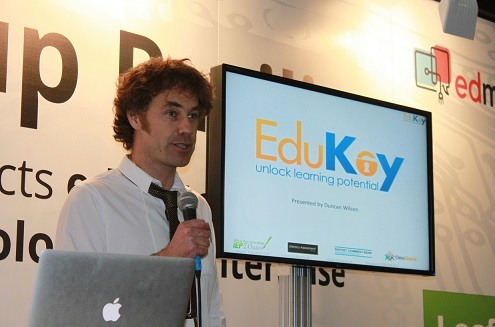 Edukey were invited to pitch to a panel of judges at BETT, the world’s biggest education technology show. The pitch went well and whilst we did not win first prize of office space at Pearson HQ, London we did come away with an invitation to work with Pearson (thanks Genevieve) and free access to the entire Adobe Creative suite software (thanks Mark). Thanks also go to Ed at Edmix for giving us the opportunity by organising the event.